Explore the new Google Maps. Discover the social side of Maps. Earn rewards by contributing to Maps. See the world from every angle. Integrate your floor plans with Google Maps. Create and share custom maps. In 2007 Google Maps began its Street View program, collecting 360-degree panoramic images to create a more comprehensive digital map of our world. While Street View was first collected with cars, it has grown to include imagery captured with trikes, trolleys, snowmobiles, underwater cameras, and even a camel. One of the more commonly used devices is called the Trekker, a backpack containing 15 separate cameras that allows for the collection of panoramic imagery in places cars can’t go. The Trekker collects imagery of some of the most famous places on Earth, but also visits less well-known sites of cultural and historical importance. As part of Google’s commitment to using our products for good, we partner with organizations like the Charles Darwin Foundation, the Jane Goodall Institute, and the Apa Sherpa Foundation to highlight unique habitats and homelands around the world. 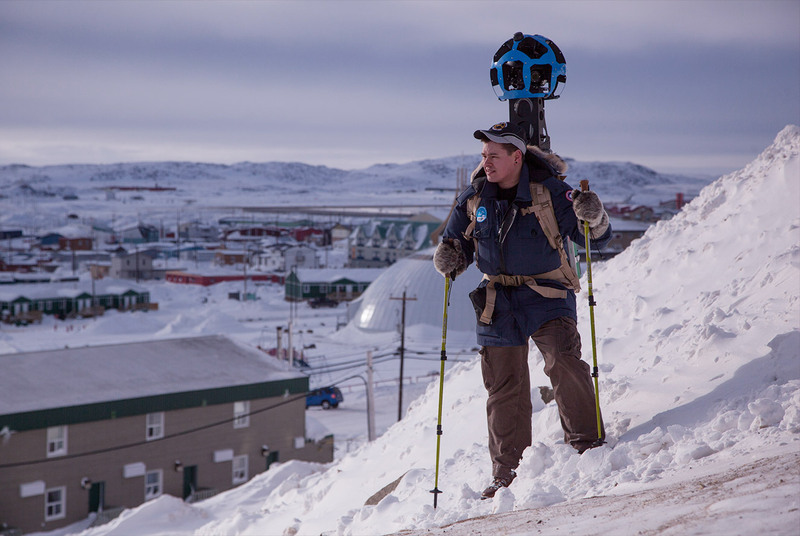 You can access Street View imagery in Google Maps on any device, but for those who want to learn more, there is the Treks series. These websites utilize Street View with the addition of still images, video, text, and HTML5 to tell a more immersive story, allowing people to take self-guided journeys to some of the most interesting places in the world. We hope they can be a fun learning tool and source of inspiration for everyone. Interested in capturing your own Street View? Volunteer to add panoramic imagery to Google Maps through the Trekker Loan Program.